Enhancing the elegance of the Rectangles Rug, this special edition made in Art Silk takes the beautiful colour shading to a new level. 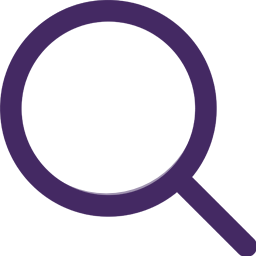 Created out of three shades of aqua complimented by three shades of purple, Rectangles is a sophisticated and timeless piece, simultaneously irregular and geometric. The clean colours of hand dyed Art Silk yarn are carefully designed to create the effect of transparency, luminosity and light. This layering effect is further enhanced by the varying tuft heights. Also available in pure New Zealand Wool. This contemporary designer rug is hand tufted in Art Silk by GoodWeave artisan weavers. Art Silk is also known as Viscose – a sustainable yarn made from wood pulp. Handmade and hard wearing, this rug design can just as effectively be displayed as a wall hanging. Your rugs look even better in real life!! I have a collection of Sonya Winner rugs which are devoted to the ground floor of my house. 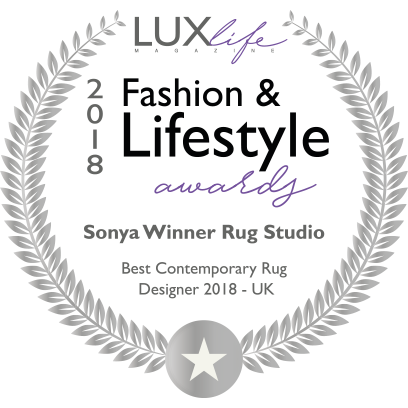 Each rug creates a beautiful setting and although I am free spirited in my taste in furniture, the colour and design of every piece of furniture seems to compliment Sonya’s rugs. The magic of Sonya’s art and design mingles empathetically with the surrounding they are in. I love her work and am saving up for my next piece the Tree Trunk which will soon accompany my baby grand piano. The rug was delivered today, we’re so excited and absolutely love love it. I attached a few photos for you to see. We’re still trying different chairs, etc. but we really love it. Thank you again for everything and please thank Sonya for me.